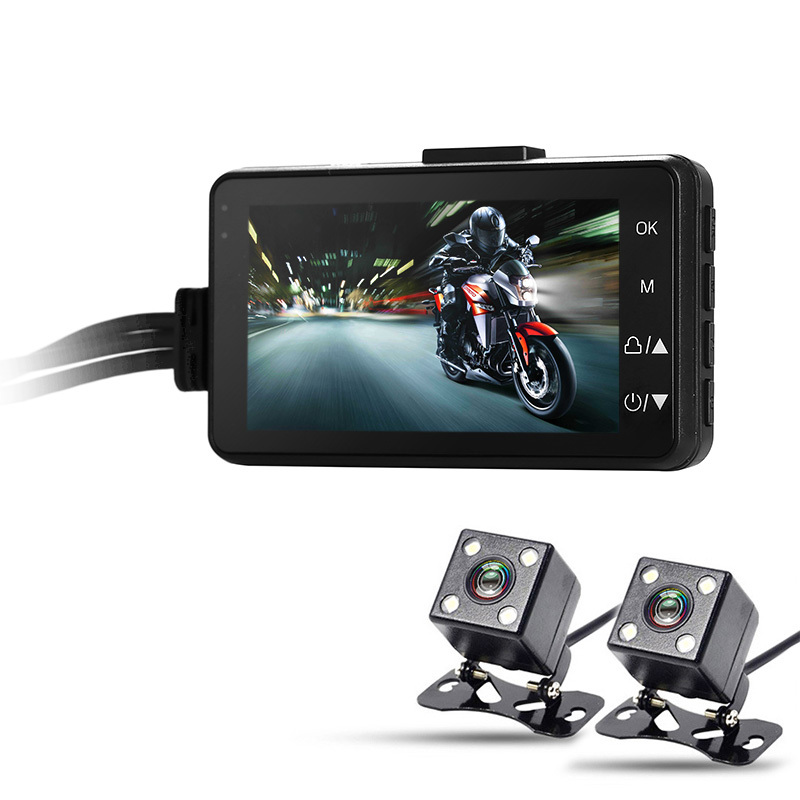 Successfully Added Dual-Camera Motorcycle DVR - Full-HD, 120-Degree Lens, 3-Inch Display, Time Stamp, IP67 Cameras, SD Card Support to your Shopping Cart. This two-channel DVR kit for your motorcycle allows you to keep track of all what’s happening around your bike. Coming with two Full-HD cameras, this bike cam kit significantly increases your safety on the road. You will be able to enjoy live view on the included 3-Inch display. Additionally, you can watch back previous recordings instantly. The display features a 32GB SD card slot so there will be plenty of space for you to store your previously snapped videos. For those of you who wish not to fill up their memory too fast, the motorcycle recorder supports loop recording. The included cameras feature a 120-degree wide viewing angle. This means that your cameras will capture anything that happens in front and behind your bike. All recordings can be equipped with a time stamp so that you always know the exact time and date the footage was shot. Thanks to its automatic white balance, your video will always be of the highest quality no matter the weather condition. With its rear camera, this motorcycle recorder allows you to easily see what happens behind your bike. This brings along great convenience for when you’re trying to park your vehicle. Additionally, it allows you to check your rear before making a turn without needing to look too far over your shoulder. This will significantly increase your safety while driving your bike. Thanks to the cameras' durable IP67 waterproof design, this bike cam can be used even when the weather is bad. Whether it’s rain, snow, or ice – nothing will stop this gadget from doing its job. This bike cam comes with a 12 months warranty, brought to you by the leader in electronic devices as well as wholesale electronic gadgets..